Remembering Phyllis J. Hyde Cowee | Remembering Phyllis J. Hyde Cowee | De Soto Obituary Search | Dietrich-Mothershead Funeral Home, Inc. Remembering Phyllis J. Hyde Cowee | De Soto Obituary Search | Dietrich-Mothershead Funeral Home, Inc.
Phyllis Jane Cowee was born in Paragould, AR on August 12, 1940 a daughter to Claude and Ruby (nee Turpin) Hyde. 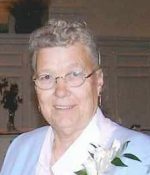 She died at her Potosi home on August 11, 2018 at the age of 77. She is survived by her husband Robert Eugene Cowee, Sr., Leadwood; seven children: Robert E. “Bob” (Becky) Cowee, Jr., Roy, WA, Paula (Ronald) Akins, De Soto, Rhonda (Mark) Smith, Switzerland, FL, Pamela (Joe) Lore, Cadet, Tracy (Elaine) Cowee, St. Stephen, SC, Timothy (Kelly) Cowee, St. Louis, and Laurie Isenhart, Goose Creek; eighteen grandchildren, several great-grandchildren and was a great-great-grandmother; also surviving are two brothers: Rev. Rick (Kaye) Hyde, Arkadelphia, AR and J.W. “Dub” Hyde, St. Peter’s and a brother-in-law Gus Ventimigilia, Ft. Myers, FL. She is preceded in death by her parents; a son-in-law: Doug Isenhart; three sisters: Claudette Stogsdill, Wynell Pullen, and Fondel Ventimigilia; and one brother: Orville Gene Hyde. Phyllis loved going to yard sales and second hand stores. 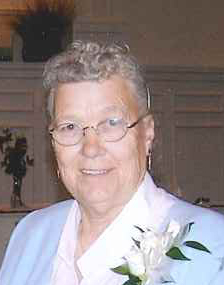 She was a member of Potosi Southern Baptist Church. Rev. Dr. Jeremy Muniz, Pastor of First Baptist Church-De Soto will officiate the funeral service. As an expression of sympathy memorial donations may be made to the American Heart Association.